Our office will be closed on Thanksgiving Day, November 23 and Friday, November 24 so that our staff may spend time with family. Our office will close at 11:30 a.m. on Thursday, November 21, and will be closed on Christmas Day, December 25 and New Year’s Day, January 1. Enjoy a selection of summertime savings valid through July 31, 2017. SAVE $50! Get a package of 3 Dermaplane treatments for just $250! Soothing, relaxing Dermaplaning removes dead skin and fine vellus hair. Your skin will be cleansed and prepped, followed by an enzyme mask and dermal planning treatment, and ending with a relaxing soothing mask. FREE Tan Towlette with Spray Tan! Extend the life of your spray tan! SAVE 15% Off a Laser Underarm Hair Removal Package – just $595! (normally $700) Permanent, safe and effective – say bye bye to underarm hair! SAVE 15% off Any SRC Cleanser! Choose from Benzoyl Peroxide Wash, Gentle Antioxidant Soothing Cleanser, Green Tea Foamy or Creamy Cleanser, or Gly/Sal Cleansers. Offers valid through July 31, 2017. Call 1-800-A-NEW-YOU for more information or to schedule an appointment. Brilliant Distinctions Members Earn Double Points on Latisse! As we kick off summer with the Memorial Day Weekend, we want to remind you about the dangers of sunburns and UV exposure. The National Council on Skin Cancer Prevention reminds you to enjoy the outdoors safely. We have named the Friday before Memorial Day Don’t Fry Day. In the same way we teach kids to wear bike helmets, we can also teach them to wear wide-brimmed hats. Overexposure to the sun is the most preventable risk factor for skin cancer. Ultraviolet (UV) light from tanning beds and the sun causes skin cancer and wrinkling. If you want to look like you’ve been in the sun, use a sunless self-tanning product instead. Seek shade when appropriate. Remember that the sun’s UV rays are strongest between 10 a.m. and 4 p.m. Generously apply sunscreen to all exposed skin using a Sun Protection Factor (SPF) of at least 30 that provides broad-spectrum protection from both UVA and UVB rays. 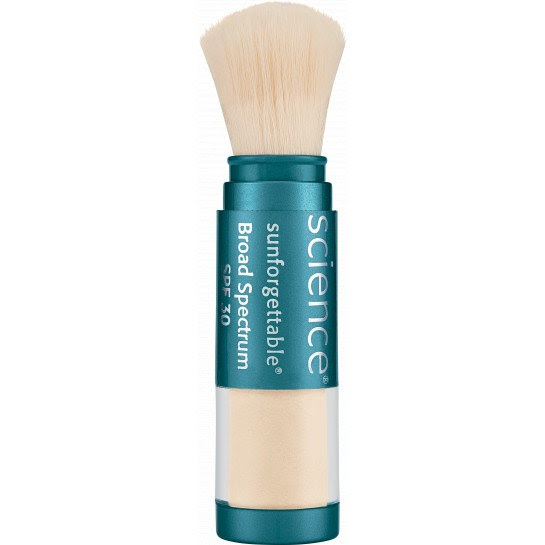 Reapply every two hours, even on cloudy days, and after swimming or sweating. Water, snow and sand reflect the damaging rays of the sun, which can increase your chance of sunburn. The UV Index provides important information to help you plan your outdoor activities in ways that prevent overexposure to the sun. Developed by the National Weather Service (NWS) and EPA, you can find the UV Index for your area online at: http://www.epa.gov/sunwise/uvindex.html. Get vitamin D safely through a diet that includes vitamin supplements and foods fortified with vitamin D. Don’t seek the sun or indoor tanning. Spring is in the air…and Mother’s Day and summer are coming. Mother’s Day is Sunday, May 14th, and this month we have specials perfect for pampering the moms in your life! May is Melanoma Awareness Month! Skin Cancer is highly curable if found early – and is highly preventable. Friday May 26 (the Friday before Memorial Day) is “Don’t Fry Day”. Find out more from the National Council on Skin Cancer Prevention. SAVE 15% off Obagi Mother’s Day Kits! Now through Mothers Day receive 15% off Obagi Mothers Day kits. Kits include Elastiderm Eye cream and Hydrate ($110+tax, purchased separately for $162) or Elastiderm and Hydrate Luxe ($128+tax, purchased separately for $184). SAVE 15% off all Chemical Peels. Chemical Peels are a quick and convenient way to soften and enhance skin’s appearance, help your products work better because there are no dead cells impeding their penetration and increase collagen with little or no downtime. SAVE $400! WOW! Buy one vial of Juvederm Voluma XC and get a second vial for HALF OFF! That’s a $400 savings! Juvederm Voluma XC instantly adds volume in the cheek area, creates contour and a subtle lift. Enjoy natural looking results that last up to 2 years. Gift Certificates! Skin Revitalizing Center Gift Certificates make great gifts for Mother’s Day! May is Melanoma Awareness month – Save your Skin! Makes great Mothers AND Fathers day gifts, especially for the golfers in your lives Protect you and your loved ones from the sun! Offers valid through May 31, 2015. Call 1-800-A-NEW-YOU for more information or to schedule an appointment.